I am currently pursuing a Bachelor of Science degree in Psychiatric Nursing. I hope to graduate this May, and will be eligible to write the licensing exam to become a Registered Psychiatric Nurse (RPN). Before enrolling in the Psychiatric Nursing program I was majoring in Mathematics at Edmonds Community College and Brandon University. I have received Brandon University International Undergraduate Student Scholarships 3 years in a row, from 2013 to 2016. I was also a member of the Brandon University Anti-Bullying Society club. This January, I led a Korean Cooking class at the Global Market Community Kitchen, I taught how to make authentic Korean food. I also passed the Interpreter Language test and became a certified Korean interpreter in 2014. I work at the Westman Immigrant Services as the Korean interpreter, and this job has provided me with a greater understanding of the characteristics of the Brandon Community. In addition, it has allowed me to contribute in a variety of ways to the community. I was born in South Korea, and I came to Canada in 2011 with my husband. My parents are still in South Korea, while my younger brother is attending university in Japan. I work with immigrants as a Korean interpreter at Westman Immigrants Service to provide assistance to people to get access to the variety of community and health services. In addition, I serve as a counselor at the YWCA women’s shelter to provide refuge and counselling for women and children. I wanted to be more involved with people who live with mental illness and to be the one to promote their wellness and health. I appreciate the challenge of serving a large or small community and participating in such a dynamic and challenging field. My philosophy is “Love yourself”. I am trying to embrace myself as who I am. Sometimes it isn’t easy to embrace my dark side, but I have learned that I have to love myself first. One day, I want to be a person who has power and leadership in the field of psychiatric nursing. Also I want to practice my profession in other countries. I don’t have everything planned out, so anything is possible! Claire is a new Canadian, having been granted her immigrant status in December 2015. She is a dedicated and valued student who will soon be a new Psychiatric Nurse, graduating this spring. Claire has her eye set on a graduate degree and has already been busy applying across Canada. Claire’s gentle nature provides a solid counterpoint for her sharp mind and skill in connecting theory to practice. 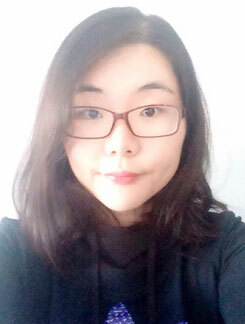 She has balanced her commitment to her studies with her involvement in the community, where she is involved as an interpreter for the Korean community through Westman Immigrant Services. She is passionate about her work with people and assisting those she comes in contact with to be successful in their lives. She provides a quiet wisdom to her work that comes from life experience, thoughtful reflection and a focus on the future as she sees it.